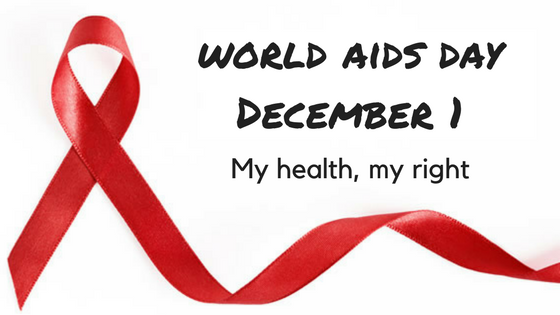 Today is World AIDS day and this year’s UN theme is “My health, my right”. This theme focuses on the right to health and access to health care. From the UN’s World AIDS day website, “Everyone, regardless of who they are or where they live, has a right to health, which is also dependent on adequate sanitation and housing, nutritious food, healthy working conditions and access to justice.” World AIDS day dates back to 1999 with the purpose of raising awareness, commemorating those who have passed on, and celebrating victories. According to a new report from UNAIDS, access to HIV treatment has been greatly expanded. Only 685,000 people living with HIV had access to antiretroviral treatment in 2000. By June 2017 that number had risen to 20.9 million people. In 2000 there were approximately 40 million people with HIV/AIDS worldwide, that number dropped to 36.7 million by the end of 2016. From 2008 to 2013 PfD implemented the Counseling, Care and Antiretroviral Mentoring Project (CAMP) in Nigeria, a program within the United States President’s Emergency Plan for AIDS Relief (PEPFAR). Nigeria has the second highest population of people living with HIV/AIDS in Africa. The primary goal of CAMP was to provide a comprehensive package of care for people living with HIV/AIDS with a focus on care for orphans and vulnerable children, the prevention of mother-to-child transmission, HIV counseling and testing, and antiretorviral treatment. CAMP was implemented in four states in Nigeria: Akwa Ibom, Bauchi, Benue, and Delta. Some of the activities that PfD implemented in partnership with local entities were increased HIV testing, increased number of laboratories for testing, and recruitment of infected into treatment programs. Two of PfD’s most important contributions were building the capacity of local institutions to carry out prevention and treatment programs and raising the awareness of effected populations of their prevention and treatment options. There are a number of ways to support the increase in access to treatment and the fight against the spread of HIV/AIDS. You could write letters in support of the PEPFAR program to your representatives. You can share news about HIV/AIDS (like this blog post!) with your social network to raise awareness. You could get active with a local HIV/AIDS treatment and prevention organization.